Trusted Expertise. Strategic Proximity. Integrated Services. Last Mile Reliability. From manufacturers to retailers, customers need their products safe and secure. DSI has more than one million square feet of quality warehouse and distribution space located just minutes from Savannah’s port and the capability to manage private warehouse facilities anywhere across the nation. Our investment in highly trained employees, warehouse management systems, and modern facilities benefit you, the customer. 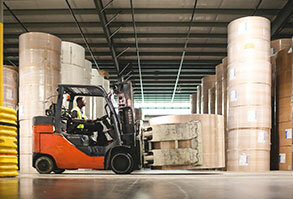 DSI offers a door-to-door solution and safe, on-time delivery. 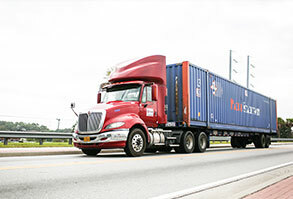 Whether it’s container drayage, domestic rail or truck, each day saved in transportation equates to dollars saved. We have the unique system capabilities and visibility tools to deliver cost effective and reliable transportation that produces the results you desire. At DSI, quality really is job one. Our innovative approach to logistics helps global companies improve performance and eliminate waste in their complex, international supply chains. We offer a wide range of turnkey services, from labeling and package repair to fulfillment and assembly. Our entrepreneurial approach creates value by improving your bottom line. 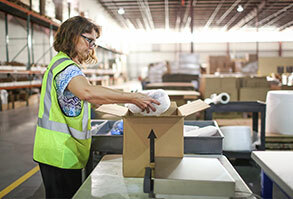 Customers benefit from our efficient technology, including a tier-one warehouse management system, flexible electronic data interchange, and integrated transportation management. For example, EDI enables our employees to instantly reconcile container movements from the port gates to our warehouse facilities in real time and respond to the unexpected, keeping your valuable inventory moving toward its destination on time. We are a third party logistics company (3PL) operating as a value driven, integral supply chain partner. DSI operates over one million square feet of contract and public warehousing assets in Savannah to serve the needs of importers and exporters. Headquartered in Savannah for nearly 30 years, we use a comprehensive technology platform to deliver value-added warehousing, trucking and rail services. The safety of our employees, our partners, and our community is the number one priority at DSI. We use a comprehensive, team-based approach to training and management of a safe operation that delivers quality service. Our programs educate and train equipment operators, truck drivers, and staff in the best practices for handling your goods that safeguard their well-being and return them safely to their loved ones at the end of the day. Check out Logistics in the News! Georgia’s Ports continue growth with record-breaking February.